Glasgow has always been a fertile breeding ground for house music. With countless internationally-renowned DJs hailing from the city, there is no shortage of world-class talent in the UK’s northern clubbing powerhouse. The latest duo to set dancefloors alight in Glasgow and far beyond are Illyus & Barrientos. The pair have diverse origins - Barrientos has Chilean parents and was born in America, while illyus grew up in Frankfurt after being born in Govan. They met on Glasgow’s dancefloors in 2014, building a friendship over their mutual love of the kind of unashamedly big, floor-filling modern house tunes that have since propelled them to dizzying levels of acclaim. In many ways, they are an odd couple – while Illyus was growing up in the vibrant local hip-hop scene in Germany then Glasgow, distributing early mixtapes for an enthusiastic audience of friends, Barrientos was still taking classical piano lessons, playing Chopin and Beethoven. In the studio, these diverse influences come together to create some spectacular dancefloor alchemy. Raw and funky, their tracks pulse with percussive energy and deep, infectious hooks. With stellar releases such as ‘Shout’, ‘So Serious’ and ‘M.E.A’ on Toolroom Records, plus releasing some Beatport chart-topping records on Defected Records and Mother Recordings, Illyus & Barrientos have well and truly cemented their status as one of the hottest DJ and production duos in the UK. So much so, that they have featured heavily on Radio 1 (Radio 1 Rave Lounge, guest interview on Danny Howard’s show), and were asked to record a mix for the prestigious BBC Radio 1 Essential Mix series. 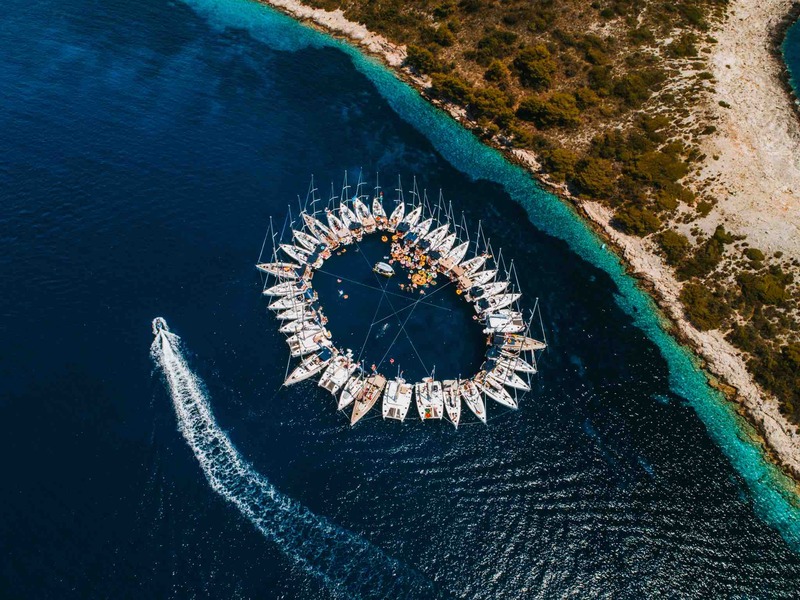 Best known for their high-energy, fun-filled shows; we’re stoked for them to take control of The Buzz for what will be an unforgettable Circle Raft, Week 27 Croatia Original. Want a sneak peek of what to expect? Check out their Spotify to get a taste. Hit the dance floor this summer with Illyus & Barrientos in Croatia.